I love it when teams spend time around the end of the season to hype up one player (or two or three) for the end of the season awards. 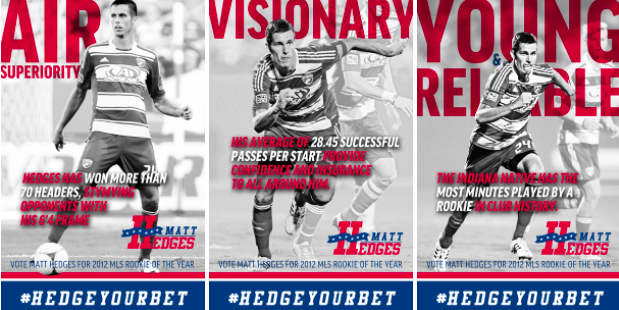 Chicago has already done so with Austin Berry, now FC Dallas throws their hats into the mix with a political based theme for Matt Hedges. Chicago did some stuff with cereal boxes a couple weeks ago and if I am Dallas, I go all out for Hedges and send out some nifty political buttons, stickers, the works. Go big or go home! I’ll get into my rookie voting here soon. For those who care, it has been down to these two guys for a few weeks for me. I know I see Hedges on a weekly basis here in Dallas but the kid is talented. 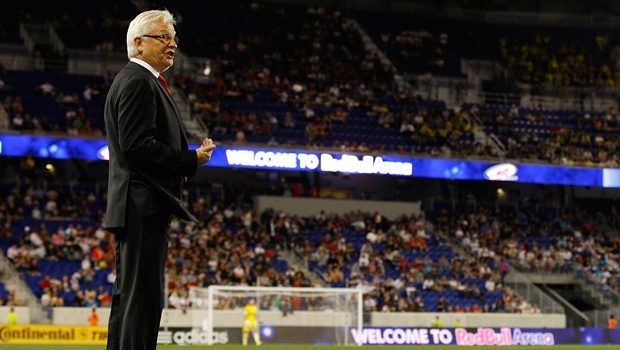 So is Berry, who has been absolutely great these last few months for the Fire. What do you all make of these clubs going all out for their rookies? Think it will help in the voting?